Review by Kathy Kuhl For parents of children ages 8 to 14 (the “tween” years), there’s new help. While there are books on raising little ones, and resources (and angst) on raising teens, there has been little for the ones in the middle. 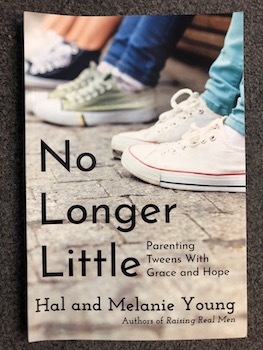 Hal and Melanie Young, however, recently wrote a clear helpful book for just those parents. No Longer Little: Parenting Tweens with Grace and Hope fills a need I didn’t know we had. Why a Book on Raising Tweens? calm child becomes rocked by emotion. Why? It’s the hormones. Hal and Melanie help you recognize the many consequences of preadolescence and show you how to cope with tween problems. No Longer Little: Parenting Tweens with Grace and Hope packs lots of insight and interesting content in a very readable style. Each chapter is focused, and each subsection has a clear and helpful heading. Each paragraph also keeps focus. Furthermore, they weave illustrations, quotations, humor and data together smoothly. Reading this book is like sitting down for a good conversation. Hal and Melanie are Christian in their perspective. They quote scripture when appropriate, and advise on sharing Bible verses carefully with wayward kids. They don’t thump anyone on the head with the Bible–their kids or their readers! So even if you don’t share those Christian beliefs, if you read with an open mind toward Christianity you’ll find nuanced views on everything related to tweens, from sibling squabbles to sexual development. You’ll also see how a thoughtful Christian worldview has deep insights and a full, rich view of the human experience. If you don’t already know Hal and Melanie Young, you’re in for a pleasant surprise. They are popular homeschool conference speakers and the parents of six boys and two girls. (Four are grown.) They also have kids with learning challenges, and a real heart for our struggling learners. The Youngs are best known for writing Raising Real Men: Surviving, Teaching, and Appreciating Boys. They also authored My Beloved and My Friend: How to Be Married to Your Best Friend Without Changing Spouses, and Love, Honor, and Virtue: Gaining or Regaining a Biblical Attitude Toward Sexuality. (You get a hint of their humor in those first two titles.) I enjoy their blog, as well. So if you have a chance to hear them speak, go! But Hal and Melanie don’t just tell you to use a calm voice and remember you’re an adult. They have detailed, practical suggestions in many areas related to raising a tween. I didn’t know this book needed to be written. But No Longer Little surprised me with its breadth and practicality. As I told the authors, I only wish I’d read it twenty years ago. (They probably do, too!) And now that it is written, I can recommend No Longer Little for anyone with little ones or tweens, or anyone working with that age group. At RaisingRealMen.com, Hal and Melanie Young blog. They share movie reviews, resources on Internet safety, and much more. 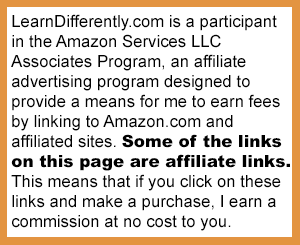 They also sell their books and their wonderful craft kits on this site.